Long time no see guys. 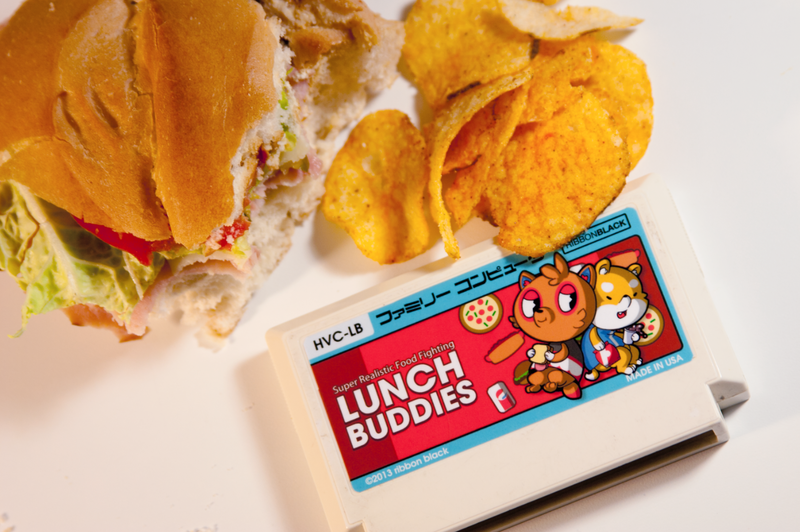 Here's a cart I originally made for the Famicase exhibition before I decided to go with something else. The Famicase website still isn't up yet as of this writing, so I'll wait to post the one I submitted to them, but in the meantime here are some of my other ideas! Lunch Buddies is based on the webcomic (some cartoon grossness if you're of frail disposition) of the same name, about a dog (Ghost) and a fox (Gish) and...the things they do. Compete against the CPU or with a friend to get the most food in this action free-for-all! 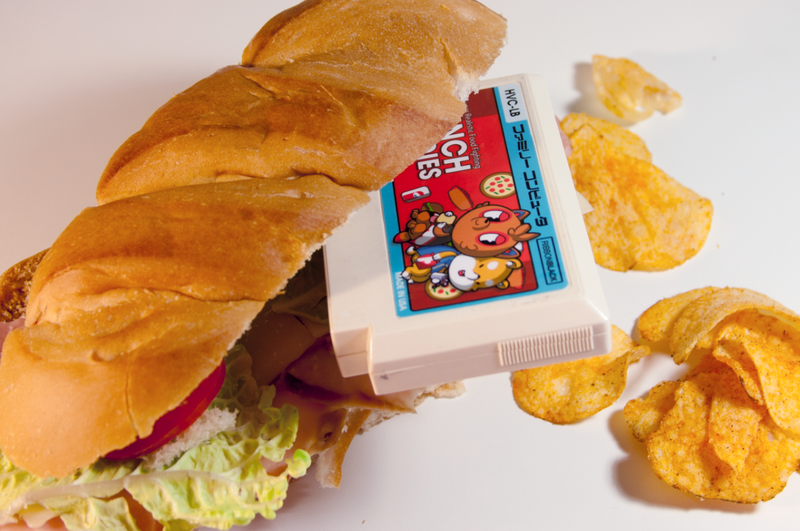 Powerups like Ketchup allow your character to eat faster and leave puddles for your opponent to slip in. Between meal bonus stages earn you more points for washing dishes faster than the other player. The game is terrible and best described as a cross between Micro Machines and World Class Track Meet. The character designs are cute though. More to come later! If you want more photos of Lunch Buddies I posted some here.